Wind energy, also known as wind power, is the means of harnessing wind and turning it into electricity. The average wind efficiency of turbines is between 35-45%. Wind is produced in the earth's atmosphere due to difference in earth temperatures locally or on a regional and global scale. When warm becomes heated it rises leaving the place with low air pressure; air from cooler regions with higher pressures of air moves in to equalize air pressure. Wind mills and turbines take advantage of the kinetic energy or "motion energy" that moves air or wind from one place to another and converts it to electricity. Wind turbines are erected in windy places, so the wind can move the blades of turbines. These blades rotate a motor, and gears increase the rotations enough to produce electricity. Different designs of turbines are suitable for varying conditions. Wind efficiency is not the same as wind capacity factor, which is what is discussed when people think of energy efficiency. Wind Watch explains the difference between the two phenomena. Wind efficiency is the amount of kinetic energy in the wind that is converted to mechanical energy and electricity. Laws of physics described by Betz Limit says the maximum theoretical limit is 59.6%. The wind requires the rest of the energy to blow past the blades. This is in fact good. If a turbine trapped 100% of energy wind would stop blowing and the blades of a turbine cannot turn to produce electricity. It is, however, not possible for any machine, at present to convert all of the trapped 59.6% of kinetic energy from wind to electricity. There are limits due to the way generators are made and engineered, which further decrease the amount of energy that is finally converted to power. The average at present is 35-45%, as noted above. The maximum at peak performance could reach 50% according to Wind Watch. An Australian government document (NSW) also agrees that 50% is the maximum wind efficiency that can be obtained (pg. 3). Energy efficiency does not vary as much as wind capacity factor does which is dependant to a great extent on location and weather conditions. The wind capacity factor is the amount of energy produced by a generator as against what it could produce if it functioned all the time at peak capacity, according to Green Tech Media. Wind capacity factor tends to vary from place to place and at different times of the year, even with the same turbines, since it depends on the speed of wind, its density and swept area that depends on the size of the generator points out Open EI. Wind capacity factor can be optimised by choosing places where ideal wind conditions prevail the whole or greater part of the year. So it is important to consider wind capacity factor and the conditions influencing it to maximise power output. Wind speed below 30 miles per hour produces little energy according to Wind Watch. Even small increases in speed can translate into substantial increase in power generated according to Open EI. Electricity generated is the cube of the wind speed explains Wind EIS. Air density is more in cooler regions and at sea level than in mountains. So the ideal places with high wind density are seas with colder temperatures according to Open EI. This is one reason for the large scale expansion in off-shore wind generation. Larger and taller turbines can take advantage of more wind higher above the ground and by the increased span of their blades. Economic considerations therefore become important here. The capacity factor is constantly being increased with improved technology. Wind turbines built in 2014 reached a capacity factor of 41.2% as compared to 31.2% for turbines built between 2004-2011, according to Green Tech Media. However, the capacity factor of wind is affected not only by technology, but also wind availability itself. Thus, in 2015 capacity factor of turbines were below previous years' average due to "wind drought" explains Green Tech Media. The energy efficiency of wind is better than the energy efficiency of coal. Only 29-37% of the energy in coal is converted to electricity and gas has nearly the same efficiency as wind as 32-50% of the energy in gas can be converted to electricity. However, in terms of capacity factors, fossil fuels performed better than wind in the U.S. in 2016 according to U.S. Energy Information Administration (EIA). Coal plants in the U.S. ran at 52.7% of their capacity. The capacity factor for gas plants was 56% in the US. Nuclear power had a capacity factor of 92.5%, according to EIA figures for non-fossil fuels. Hydro power's capacity factor was 38%. Wind power's capacity factor was 34.7%. When comparing the power output from different sources of energy, it is better to consider not only the capacity factor, but also their energy efficiency. This is what makes increasing the power generation from wind competitive and feasible in comparison with fossil fuels which are also hassled by the pollution problems they cause. 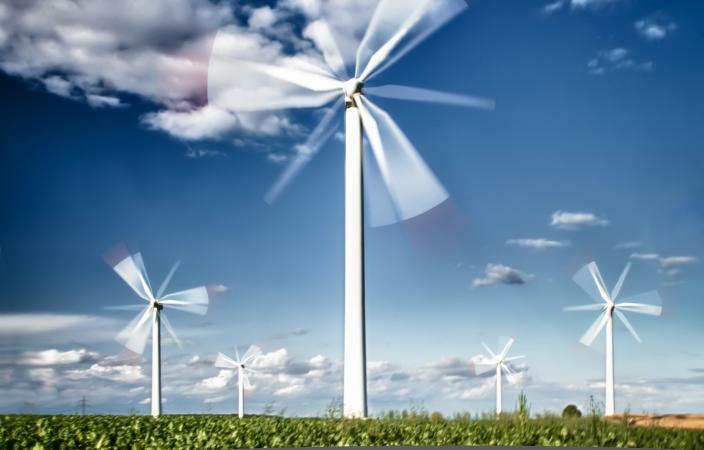 Wind energy suffers from intermittency as wind is not always available, and can blow at varying speeds, meaning that power is generated at inconsistent levels. Energy intermittency is the phenomena where energy is not available continuous due to many factors that people cannot control. Therefore there is variation in supply. 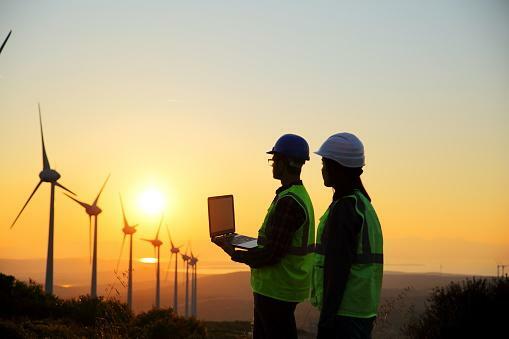 Since the generation of power from wind turbines fluctuates from hour to hour, or even second to second, power suppliers need to have larger energy reserves to meet and maintain consistent levels of power supply explains the American Scientist. Intermittency means not just shortfalls but also periods of excesses; this then provides a possible solution too. The American Scientist explains that as the number of sources of wind power increase, local difference in weather and wind conditions can balance shortfalls and excesses. Improved weather forecasts and modeling also make it easier to factor in even short-term changes in wind power. 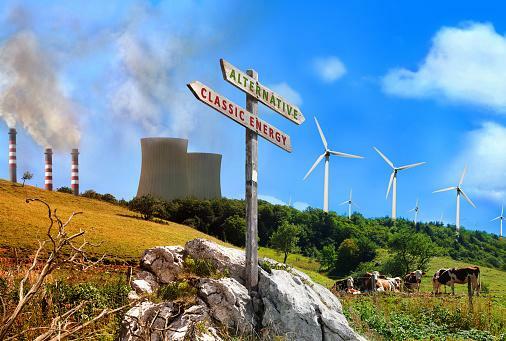 A mix of sources is also necessary to even diurnal or seasonal differences in wind power generation. Regardless of intermittency, widespread new wind farms across the US, have actually helped to stabilize power supply, especially during extreme weather in Texas according to Clean Technica. In 2017, The Independent announced that production of energy from wind was cheaper than from fossil fuels. It costed $50 to produce a megawatt-hour (MWh) in 2017. With improving technology, costs continue to fall, making it more attractive than conventional polluting energy sources. 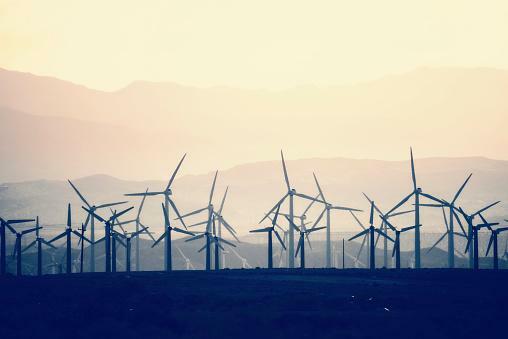 The U.S. hopes to spur this movement by providing government incentives, to increase the share of wind power which provided 6% of its electricity in 2016 according to EIA. Wind EIS notes that 80% of the costs are capital costs involved in installing the turbines, and 20% is operational. However, since no fuel costs are involved, and considering the power generated in its entire life cycle, wind energy is competitive. Wind energy is one of the more efficient alternatives to fossil fuel energy. It is predicted that by 2050, 139 countries that currently use 99% of the world's energy could be using 100% renewable energy. Wind and solar could together provide as much as 97% of this energy, according to a 2017 World Forum Report. This can help in containing global warming rise to below 1.5C. Whether it's a wind farm on a hillside or along a coastline, wind turbine technology offers a vastly more efficient way to generate useable electricity than non-renewable traditional sources.